But if you want to sue, how do you show that the power plant down the street is giving your kid asthma, or that the local chemical plant is illegally dumping toxic materials into the river that cuts through your town? If you’re Scott Eustis, a coastal wetland specialist at the Gulf Restoration Network, you go fly a kite. Specifically, you fly a kite to which you’ve strapped a small $40 digital camera. He has used the kite to map the waterways of the Mississippi Gulf Coast, taking aerial images of the environmental damage afflicting the region’s bayous, lakes, rivers and streams. Environmental monitoring on a meaningful scale has traditionally been too costly for individuals, but evolving technologies are changing that. Eustis is one of a growing number of environmentalists using unusual tools in ways pioneered by a generation of hackers and activists, and they’re collaborating and sharing their work. Leading the way is a nonprofit group called Public Lab, which calls the phenomenon civic science or community science. This is not citizen science, they say. Citizen science relies on bulk data collection for scientists by nonscientists, and might arguably be more precisely called crowdsourced science—though it dates from long before the invention of that term. A good example is the National Audubon Society’s Annual Christmas Bird Count, first launched in 1900. Every year, thousands of volunteers throughout the Americas tally the number and types of birds that they see in their region. This approach, while informative, helpful and publicly connected, is fundamentally top down. Audubon controls the data and how it’s used. Bonner and his friends decided to buy Geiger counters—only to learn that none were for sale. The disaster had increased demand for Geiger counters across the globe, wiping out supplies. They were able to secure only 10 counters—hardly enough to paint a comprehensive picture unless they made the devices mobile. So they did: Bonner’s team attached the counters to a laptop with a GPS device and drove around Japan mapping radiation. When this proof-of-concept device worked, they set to work building their own devices that were cheap, accurate and open source. Safecast partnered with universities, researchers and Dan Sythe, CEO of IMI International Medcom, one of the leading suppliers of Geiger counters. (The company is involved in monitoring around Three Mile Island and Chernobyl.) The group used Arduino, a $25, single-board microcontroller, to form the backbone of what would become the bGeigie Geiger Counter Kit, a device about the size of a Japanese bento box. First introduced in 2005 in Italy by two design students as part of a design competition, Arduino is an open-sourced electronic board with inputs that make attaching sensors, and programming it from your home computer, relatively straightforward. If you’ve ever dreamed of building your own robot, programming your alarm clock to spit you out of bed (like on The Jetsons) or developing your own Geiger counter, Arduino is the thread that can stitch everything together. Arduino is also sold under a Creative Commons Share-Alike (CC-SA) license, allowing anyone to make changes to the original Arduino board and release it to the public. This allows for the rapid and iterative prototyping that created the original bGeigie, and its latest iteration, the bGeigie Nano. Both are fully self-contained Geiger counters that record and relay real-time, geotagged radiation levels. The bGeigie Nano kit sells for $450 on IMI International Medcom’s website and on Amazon—roughly the cost of the components plus a $75 donation to Safecast. Or you can download the design specifications from Safecast and build it yourself. Bonner says the device outperforms everything comparable under $2,500 and gets data as accurate as machines that sell for $15,000. In the wake of Fukushima, Safecast sent the monitoring devices into contaminated zones with residents who were allowed in to collect belongings. “We discovered that within the evacuation zone there were areas with low levels, and quite far outside of the zone that there were high levels,” Bonner says. A week after Safecast published its data, roughly four months after the Fukushima disaster, the Japanese government published its own report. It turns out that shortly after the accident, the U.S. had flown radiation-monitoring helicopters over the region to map the movement of radiation. Those maps showed the same thing that Safecast had uncovered, but which the Japanese government had not previously disclosed—the official radiation zones were wrong. The civic science movement is deliberately low-tech and low-cost where possible. “Kites are fun, but drones are creepy,” says Eustis. But does more fun mean less scientific rigor? Not necessarily. Matthew Schroyer designed a $55 device called DustDuino, a palm-sized, Wi-Fi-connected device based on the Arduino backbone that measures particulate matter in the air, a leading cause of premature deaths. A study released earlier this year by researchers from the University of California, Berkeley, found that on an hourly basis, Schroyer’s device was as accurate as the BAM-1020 (made by Met One Instruments), the device used by the local air quality monitoring board. That device costs tens of thousands of dollars. A fierce devotion to transparency, and making everything open source, is another defining characteristic of the movement, which was born from a desire to shed light on disasters that were clouded by a lack of good information. Public Lab, for example, grew out of a response to air traffic constraints put into place during the 2010 BP oil spill in the Gulf of Mexico that limited journalistic reporting on its impact, and made it difficult for environmental advocates to capture images of the spill to show its progression. DIY mapping efforts helped to overcome this obstacle. Eustis, who is part of the group suing United Bulk Terminals Davant, decided to map the Mississippi Gulf Coast after ongoing monitoring efforts and environmental complaint reports failed to elicit action. 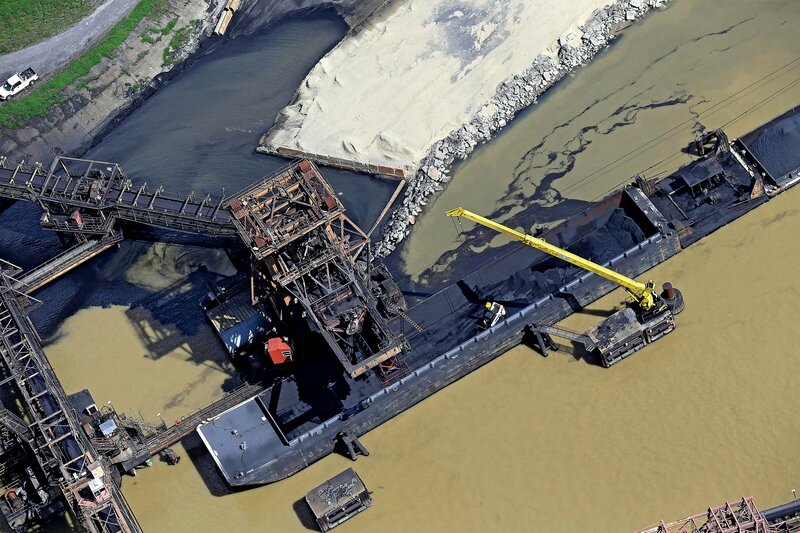 That lawsuit is currently in the U.S. District Court of the Eastern District of Louisiana, where the two parties are in discussion over concerns that the coal runoff from the United Bulk facility isn’t simply polluting the river but also inhibiting broader restoration efforts. October 29, 2014: This article originally misspelled the first name of Eymund Diegel.